distinctive national styles had evolved. The conflict between Catholics and Protestants culminated in the Thirty Years' Wan devastating central Europe. King Louis XIV enforced absolute monarchy in France, but in England Parliament's victory in the Civil War fostered a constitutional regime. In North America, the founding of pioneer colonies ushered in a new stage in world history. At the end of the seventeenth century the decline of Turkey the growth of Prussia, and Russia's victories over Sweden had changed the map of eastern Europe. The seventeenth century witnessed a vast outpouring of literary masterpieces, such as the drama of Shakespeare, Moliere, and Racine, the poetry of Donne and Milton, and the first novels, including Cervantes' Don Quixote. In art and architecture the exuberant self-confidence of the Baroque style was exemplified in the sculpture of Bernini, the paintings of Caravaggio and Rubens, Louis XIV's chateau at Versailles, and Wren's St Paul's Cathedral in London. Holland, grown prosperous on overseas trade, produced painters of the stature of Rembrandt and Vermeer. The invention of the telescope and the microscope revealed astounding new worlds. The achievements of Kepler and Galileo laid the foundations for Newton's great works on the laws of motion and gravitation. These discoveries and other great advances, in anatomy and physiology, encouraged the belief that man could win control over nature and paved the way for the rationalism of the following century. During this period music was immeasurably enriched both by new vocal forms - opera, the cantata, and the oratorio - and by instrumental forms such as the sonata and the concerto. Most new musical ideas originated in Italy, where Scarlatti and Vivaldi were prominent and where Monteverdi's genius promoted opera, However, it was in Germany with Bach and Handel, that Baroque music reached its greatest heights. The Baroque era witnessed a triumphant revival in the fortunes of Catholicism, reversing some of the setbacks that had occurred in the sixteenth century. During that turbulent period, the Reformation had torn the Church in two, dividing Europe into competing Protestant and Catholic factions; the Turks had continued to threaten the eastern fringes of the Holy Roman Empire; and Rome itself, the Holy See, had been sacked in 1527. The Papacy did not respond to these disasters in a spirit of compromise, but with a determination to reassert its authority. In contrast to the Protestant values of austerity and simplicity, it encouraged the creation of grandiose architecture and works of art. Elaborate new churches and altarpieces were intended to evoke the same sense of awe and majesty that the great cathedrals of the Middle Ages had inspired. The Baroque style developed to meet the needs of this Catholic revival. The term probably derived from barroco, Portuguese for an irregularly shaped pearl. 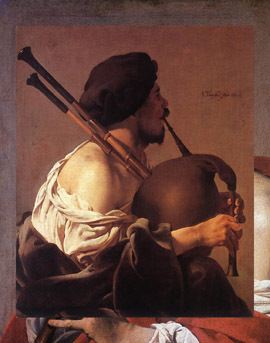 The emphasis is on "irregular", as the Baroque implied a departure from the symmetry and harmony of the Renaissance. In architecture, this resulted in buildings conceived on a grand scale, using the richest materials and featuring wilfully complex, dramatic designs. The style was pioneered m Rome by the seventeenth-century painter, sculptor and architect Gianlorenzo Bernini — who designed the colonnade in front of St Peter's and the magnificent canopy over the High Altar — together with Francesco Borromini and Pietro da Cortona. 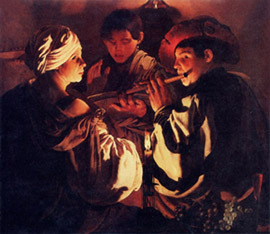 Baroque painters made similar attempts to appeal powerfully to the emotions and the senses. Artists like Caravaggio in Italy and Rembrandt in Protestant Holland sought to achieve this end through dramatic lighting effects, while others, such as Rubens, imbued the figures in their compositions with vigorous, sometimes contorted movements. In a musical context, "Baroque" is a much less precise term, often used to suggest little more than an ornate and rather theatrical style. Composers of. the time, however, were conscious of a break with the past. In 1605, Monteverdi made a firm distinction between a PRIMA PRATTICA and a SECONDA PRATTICA (first and second practice), the former referring to the intricate Renaissance style of composition, the latter to a new emphasis on the clarity of the text. At the heart of the new style was the development of the BASSO CONTINUO (thorough bass), a system of notation for the secondary instruments. PRIMA and SECONDA PRATTICA As defined by Monteverdi, prime prattica was the intricate, polyphonic approach to composition current during the Renaissance; seconda prattica referred to the new emphasis he and his colleagues placed on the solo voice. In essence, this meant that whereas his predecessors had sometimes obscured their lyrics through the complexity of their music, textual clarity now took precedence. Also known as stile antico and stile moderno. BASSO CONTINUO A shorthand notation of the bass line, indicating the chords to be played by the instruments (usually keyboards or strings) accompanying the main melody, which was written out in full; until this time, the continuo had usually been improvised. Also known as "figured bass" or "thorough bass." speech) as the means of conveying the dramatic dialogue to the audience. In so doing, they were effectively echoing Monteverdi's stricture that music should be subordinate to its text. The oldest surviving opera is Jacopo Peri's Euridice, commissioned in 1600 for the festivities celebrating the marriage of Henri IV of France to the Florentine Maria de' Medici. However, the first masterpiece in the new genre was Monteverdi's Orfeo in 1607, which was composed for the Gonzaga family at Mantua. This was produced on an entirely different scale from the earlier experiments. 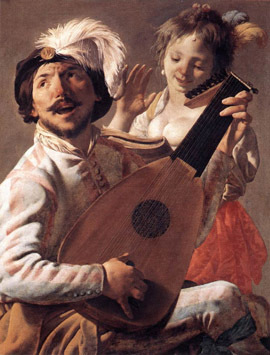 While Pen had made use of just a few lutes and a harpsichord in his operas, keeping them discreetly hidden behind the scenery, Monteverdi employed a full orchestra consisting of some 40 instruments. 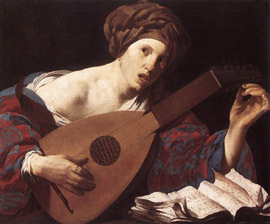 The taste for opera spread; Rome and Venice became the new centres of musical excellence. Rome took the lead in the 1620s, largely due to patronage from high-ranking clergymen. Cardinal Barbenni had a well-appointed opera house constructed in his palace in 1623, while one of the most talented librettists of the period, Giulio Rospigliosi, became pope in 1667. Venice was to all appearances a wealthy city, although the facades of its buildings often concealed the decay behind. Despite not having Rome's exalted operatic connections, it played a crucial role in bringing the genre to a wider audience. The first public opera house opened there in 1637, and at least 15 more were built before the end of the century. Each neighbourhood had its local theatre, similar to cinemas today. 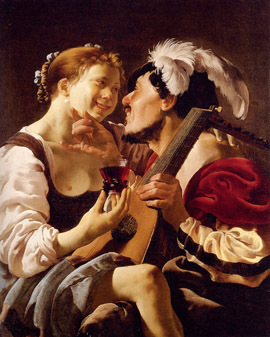 Opera was the most exciting new art form of the age, consolidating the reputation of the Italian regions as the cultural focus of Europe. This fact belies the conception that political and artistic success go hand in hand, for the Italian peninsula then contained little more than a motley assortment of independent princedoms and satellite states. The glories of the regions might prove a draw to artists and connoisseurs; they also attracted invaders. Throughout the era, most of Italy was ruled by either Spain or Austria. Rome, the seat of the Papacy, exerted influence among the Catholic nations, while Venice and Genoa were independent mercantile cities of some standing. Many of the remaining territories, however, were merely bargaining counters — petty possessions that were passed around between the greater European powers as they jostled for supremacy within the continent. This state of affairs persisted in some measure until the unification of Italy in the nineteenth century. Italy's problems paled beside the destruction in central Europe caused by the Thirty Years' War, which ploughed a bloody furrow across the continent between 1618 and 1 648. The conflict had begun as a seemingly minor internal dispute within the Austrian Hapsburg Empire. In 1619, the Protestant citizens of Bohemia (now the Czech Republic) rejected the Catholic Emperor Ferdinand II and chose Frederick the Elector Palatine as monarch. The next year, the Imperial lorces reacted by defeating Frederick's army at the Battle of the White Mountain, and it appeared the rebellion had been quashed. Instead, the religious overtones of the conflict soon triggered further violence. Fearing that the Catholic influence would spread further north, two other Protestant powers, Denmark and Sweden, joined the fray. The Danish army proved no real threat and sued for peace at the Treaty of Lubeck in 1629. However, the Swedish forces, led by Gustavus Adolphus, the so-called "Lion of the North", cut a swathe through the German provinces. Mainz and Munich both fell, and even Vienna came under threat. Only the death of Gustavus at the Battle of Lutzen in 1632 threw the outcome of the war back into the balance. A new twist was added in 1 635, when the French became involved in the final phase of the conflict. Although a Catholic power, France sided with the Protestants of Holland and Sweden in a bid to undermine the powerful Hapsburg Empire. By and large, it was successful, and when the Peace of Westphalia finally brought an end to hostilities in 1648, France was established as the leading force in European affairs. While the last act of this protracted struggle was being played out, an equally destructive war raged on the other side of the Channel. There, too, religious and political differences intermingled with disastrous effect. On the surface, the reign of Charles I (1625-49) was blighted by a long-running constitutional dispute between the King and his Parliament. Charles attempted to govern like an absolute monarch, but lacked the political flair to carry it off. For 1 1 years, he ruled without Parliament, until the outbreak of war in Scotland forced him to recall the governing body in 1640. Behind the inevitable resentment that had simmered during these years of "tyranny" there lay a growing suspicion about the King's commitment to the Church of England. Charles's Catholic Queen was deeply unpopular and, when the Archbishop of Canterbury revamped the Anglican liturgy, critics condemned it as an imitation of the Roman Mass. So, when the Civil War finally erupted in 1 642, it was not surprising that the Puritan factions should ally themselves with Parliament against the King. 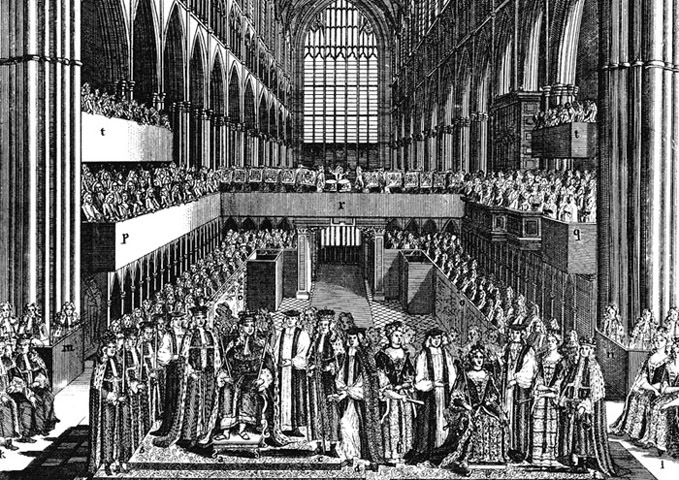 The struggle between the Royalists and the Parliamentarians — one of whose leaders was Oliver Cromwell, a committed Puritan — was to last for seven years. Following catastrophic defeats at the battles of Marston Moor in 1644 and Naseby in 1645, the initiative drifted away from the King. He surrendered at Newark in 1646. Supporters of the Parliamentary cause agonized for some time over what should be done with their regal captive but, in the end, compromise proved impossible. Charles was put on trial and was then beheaded at Whitehall in 1649. England was declared a Republic and named the "Commonwealth." This state of affairs continued for just 11 years, and for much of that time the reality of power was vested not in Parliament but in Cromwell, who assumed the title of Lord Protector in 1 653. Under his leadership, Britain regained much of its authority abroad — winning victories in Ireland, gaining possession of Dunkirk and Jamaica, and successfully concluding the Anglo—Dutch War. None of this counted for anything, though, when the Monarchy was restored in 1660 two years after Cromwell's death and Charles II ascended the throne. Cromwell's body was exhumed from its resting place in Westminster Abbey and hanged on the gallows at Tyburn, near London, the place of execution for criminals. His head was impaled on a pole and displayed outside Parliament. While the countries of Europe were occupied with such turbulent events, they were also increasingly concerned with affairs in the New World across the Atlantic, as well as with their better-established trading concerns in the Indies (southern Asia). In the sixteenth century, colonial expansion had been largely limited to Portugal and, especially, Spain, whose conquistadors established a large colonial empire in Central and South America, destroying the Aztec civilization in the process. In the early years of the seventeenth century the eastern seaboard of North America was settled by France, Britain. and Holland, and competition for the seemingly endless possibilities of overseas wealth was fierce. Overseas trading companies were set up by governments to exploit the production of valuable commodities, each having a trading monopoly in a given area and often wielding considerable political influence. The most famous of these were the British, Dutch, and French East India Companies. In the Americas, the growth of valuable export products such as coffee, sugar, and tobacco came to depend on slave labour. A trading triangle developed in which slaves were taken from Africa and traded for goods in the Americas, where they were set to work in the plantations; the ships that had brought them meanwhile returning with their cargos to Europe where their owners amassed fabulous wealth. Initially, therefore, the newly discovered parts of the world were viewed as an unlimited opportunity for commercial exploitation and profit. Increasingly, however, these areas, particularly the Americas, were settled, often by people seeking to escape religious persecution. In 1605 French settlers established Quebec; in 1612 New Amsterdam (now New York) was founded by the Dutch on Manhattan Island; and in 1620 the Pilgrim Fathers — Puritan Separatists who had fled England — established Plymouth as the first permanent colony in New England. As the first successful bases in the colonization of the continent by the rival European powers, such settlements marked a significant phase in the great European expansion that had begun in the 1490s with Columbus and da Gama. The New World was viewed by many as offering real hope for new ways of life. In England, in the mid-sixteenth century, the influence of the Puritans ushered in an era of austerity. The theatres were closed down for the duration of the Commonwealth, soldiers were quartered in Westminster Abbey, and a large portion of King Charles I's splendid art collection was sold off. Ironically, the same period also witnessed the first stirrings of English opera. Plays set to music qualified as "concerts" and thus escaped the ban that affected the stage. Hence The siege of Rhodes, which was first performed in 1656 and was described by its authors as "a story sung in recitative musick", has been tentatively acknowledged as the earliest English opera. In truth, this and most of its immediate successors might be defined more accurately as "semi-operas." Henry Purcell, whose father had been one of the performers in The siege of Rhodes, wrote several semi-operas, among them The fairy queen and King Arthur, and also produced the first English opera of genuine merit with his Dido and Aeneas in 1689. Although the Church and the Court remained the principal sources of patronage, it gradually became accepted that music might also serve a useful purpose outside these relatively limited circles, in Britain and elsewhere. Vivaldi, for example, was employed for much of his career as a violin teacher at the Pio Ospedalc della Pieta in Venice, an orphanage for girls. The regular performances given by the girls under Vivaldi's direction were not commercial undertakings — public concerts of this sort did not really take root until the Classical era — but rather emblems of civic pride. The broadening appeal of music had several important consequences. First, it led to an extraordinary increase in the volume of music that was required. The concept of playing the "classics" or of having a stock repertoire did not exist. New pieces of music were composed and then discarded at an alarming rate, Vivaldi's notoriously prodigious output being an example of this. Sometimes, they would be played only once -perhaps for a particular occasion — before being set aside and forgotten. This, in turn, meant that the ability to write quickly was essential. A hastily produced piece of music was not seen as the tell-tale sign of a casual attitude but rather as proof of the composer's professional skill. Closely allied to this was the growing importance of the individual performer. 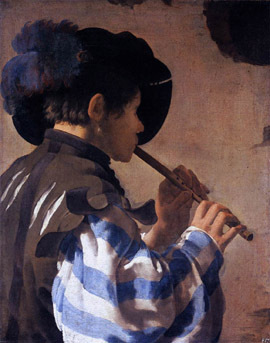 The Baroque era was the age of the showman - the virtuoso. For the first time, both singers and instrumentalists were really encouraged to stretch their talents to the limit. In the realm of opera, this made stars of the castrati — male singers whose beautiful, youthful voices were artificially maintained through castration. 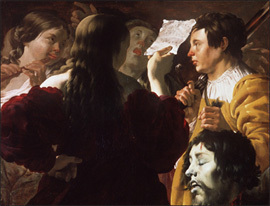 This practice was at its peak during the heyday of the Baroque Italian opera. These virtuosos did, however, help to undermine the sort of dramatic tension that had been achieved in the type of opera developed by Monteverdi. Increasingly the recitative, which carried the storyline of the play, was interrupted by more and more arias — often complex, beautiful, set-piece melodies in which the singers could show off their skills. Exhibitionist tendencies were not confined simply to vocalists. Composers, equally, were eager to put their talents in the spotlight. One of the most popular ways of doing this was to create music that mimicked natural sounds. The four seasons by Vivaldi, with its birdsong and weather effects, is probably the best-known example, but the practice became commonplace. 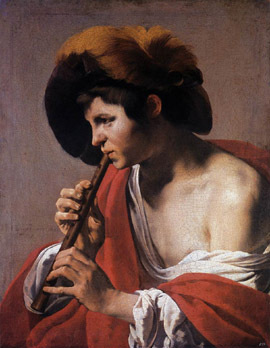 Johann Kuhnau's Biblical sonatas contained a clever imitation of the sound of David unleashing his sling against Goliath —played on, of all things, a harpsichord. J.S. Bach used the same instrument to convey the noise of coach horns in his Capriaio on the departure of a beloved brother, but the supreme keyboard virtuoso was Domenico Scarlatti. 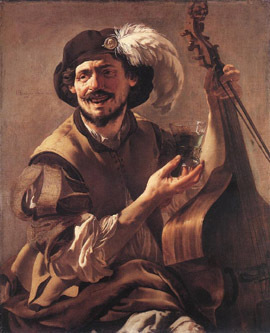 Hidden within the compositions that he produced for the Spanish court were ingenious imitations of street cries, strumming guitars, and hoofbeats. This kind of showmanship surfaced partly because musical entertainments were growing longer — a full-scale opera, for example, gave composers far greater scope for elaboration — and partly because instruments were becoming more sophisticated. The main development here was in the field of violin manufacture. 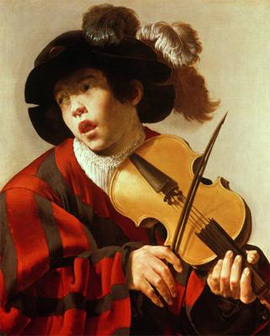 The violin had appeared in the early years of the sixteenth century, but it was in the Baroque era that the town of Cremona in Italy produced the three giants of violin-making— Nicolo Amati, Giuseppe Guarneri, and, most famous of all, Antonio Stradivari. The fact that a provincial Italian city should have become the centre for such an important craft is no coincidence, for Italy remained the dominant musical force in Europe throughout most of this period. Composers as diverse as Bach and Handel both had their roots in Italian styles, while Jean-Baptiste Lully, the musician who did most to provide a distinctive national school in France, was actually born Giovanni Battista Lulli, an Italian. The emergence of an independent style of music in France was hardly surprising, given the political strength of the country during the long reign of Louis XIV (1643-1715). The King was less than five years old when he succeeded to the throne, his early years clouded by a series of civil disturbances called the Frondes (after the slings used by the rioters). At times, the violence grew so bad that the child had to be hustled away from Paris to St Germain, where he slept on straw. The memory of these terrifying episodes left Louis with a permanent dislike of Paris and a pathological loathing of disorder. Accordingly, when he was old enough to manage his affairs, the King determined to leave his hated capital and move the seat of government to his newly enlarged chateau at Versailles. Believing literally in the divine right of kings, he was anxious to reduce the influence of the old nobility and the Parlemcnt (the powerful Pans law court), concentrating all power in his own hands. He kept the nobles in check by encouraging them to lose themselves in the excesses of his court at Versailles, corrupting them with a dazzlingly extravagant lifestyle, and thus weakening their capacity to act against him. However, there was much more to Louis's reign than superficial display; under his rule, France acquired new road systems, ports, and canals, a modern police force, navy and merchant marine, a manufacturing industry, and a flourishing export business. "L'litat e'est Мел" ("I am the State") was Louis's motto, an eloquent description of absolutism. 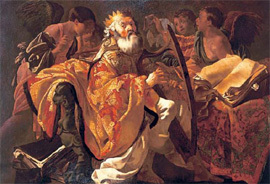 In cultural matters as much as in politics, Louis exercised complete control, presiding over a golden age in the arts. France became the epitome of civilization, envied and emulated by the rest of. Europe. French classical drama was at its peak, exemplified in the tragedies of Corneille and Racine, as well as in the satirical comedies of Moliere. The same period also witnessed the creation of the Royal Academy of Fainting and Sculpture in 1 648 and the reorganization of the Gobelins, the celebrated tapestry factory, in 1662. Louis became known as le Rot Soldi (the Sun King), a reflection of the splendour and brilliance of his regime. Music, too, had the King's stamp upon it. Louis surrounded himself with music, in his personal life and on ceremonial occasions; his military victories would be celebrated with specially composed Те Deums. A musician and enthusiastic dancer himself, Louis actively encouraged the development of the comedie-ballet, a new operatic form that grew out of a collaboration between Lully and Moliere. This extravagant mixture of song, dance, comedy, and spectacle was supremely elegant and formal, yet also much lighter than the prevailing strains of Italian opera, being adapted to suit French tastes. The splendour of the court at Versailles eclipsed all others and spawned countless imitations. Critics later argued that it isolated the monarch from his subjects and, in so doing, sowed the seeds of the French Revolution. There may be some truth in this, but there was, nevertheless, a logic behind Louis's actions. Like the papacy at the start of the century, he was seeking to project an aura of grandeur that would make the monarchy an institution worthy of reverence, inspiring both loyalty and obedience. During the first half of Louis's reign, this grandiose image was reinforced by victories on the battlefield. In 1667, he invaded the Spanish-controlled southern Netherlands. His initial advance was checked, but a second invasion in 1672 was more successful, and the Dutch only managed to hold him back by opening their dykes and flooding the country. Louis's triumphs were recognized in the Treaty of Nijmegen (1678), when Hainaut and the Franche-Comte were ceded to France. Despite setbacks such as these, the United Provinces of Holland (the northern part of the Netherlands, which had won independence from Spam in the previous century) enjoyed a golden age of their own at this time. The Republic's extensive trade with the Baltic region and the Indies had helped to turn Amsterdam into the financial capital of the world, and the city's banking, insurance, and share-dealing services had boosted its reputation still further. This prosperity, and the sense of security it generated, served to stimulate a flowering of the arts and sciences. Christiaan Huyghens invented the pendulum clock, while Anton van Leeuwenhoek and Jan Swammerdam made important discoveries in the field of microscopy. 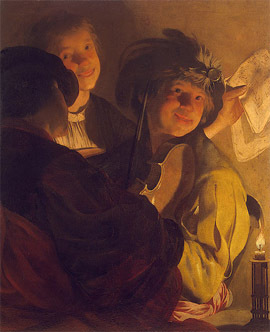 In the art world Holland produced geniuses of the stature of Rembrandt, Vermeer and Frans Hals. Musically, the most significant figure was Jan Sweelinck, sometimes known as "the Father of the Fugue", who was the city organist m Amsterdam from 1577 until 1621. His teachings made him a household name as far afield as Poland, although he is probably best remembered today for his influence on J.S. Bach. In Germany, as in Holland, organ music played a crucial role in Protestant worship. It is necessary to distinguish between the Lutherans and the more extreme followers of Calvin. Martin Luther had been an enthusiastic musician — he possessed a fine tenor voice and composed music himself — and he actively encouraged the continuing tradition of Church music. This was in sharp contrast to the Calvinists, who, in keeping with their precepts of religious asceticism, prohibited organ music and tore out the instruments from their places of worship. These acts of ideological vandalism were particularly disturbing to many communities, as the organ was seen as a tangible symbol of municipal pride. Indeed, individual cities vied to sign up the most prestigious performers on the organ with a rivalry often as intense as the competition between present-day football clubs. 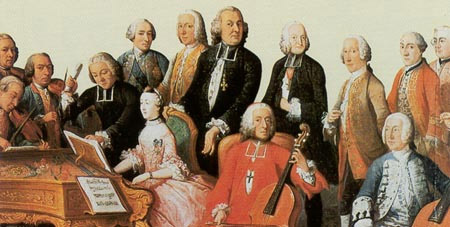 At Leipzig in 1723, for example, the city council were disappointed when they only managed to secure the services of Bach as their Director of Music. He had been their third choice after Telemann, who had used the situation to demand a raise in salary at his post in Hamburg, and Graupner, who was still under contract to another employer. 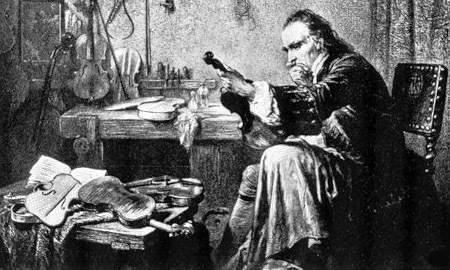 Perhaps because he 'was not a technical innovator, Bach enjoyed a comparatively modest reputation in his own lifetime. The career of Handel could hardly have been more different, although he was born in the same year as Bach. Where the latter was content to continue working in provincial seclusion, Handel sought and found the limelight, enjoying a roller-coaster career in London as both composer and impresario. His methods could be unconventional — there is a story that he once dangled one of his divas out of a window and threatened to drop her if her singing did not improve — but they soon brought him international acclaim. When the fashion for Italian opera began to wane, Handel switched his attentions to its religious equivalent, the ORATORIO. ORATORIO Extended musical setting of a (usually) religious text with solo voices, chorus and orchestra. Developed in Rome in the mid-17th century, it had a similar structure to an opera but was presented in a concert hall rather than acted out on stage. The fact that Handel chose to settle in London, which had hitherto been something of a backwater in operatic terms, may well reflect the shift that had taken place in the European balance of power. After 1680, the supremacy of the French began to look less secure. In the East, the threat of a Turkish invasion receded when Jan Sobicski and his Polish forces relieved the siege of Vienna in 1683. This, however, left the Austrian Emperor free to turn his attention towards the West. Five years later, Louis XIV suffered the even greater blow of England's "Glorious Revolution", when the Catholic James II was ousted from the English throne, to be replaced by his old adversaries, William and Mary (respectively, Stadholder of the Netherlands and James's daughter). The presence of a Protestant king across the Channel was all the more disastrous in the wake of the Revocation of the Edict of Nantes in 1685. With this act, Louis had cancelled the rights to freedom of worship that had been granted in 1598, thus provoking the hostility of the entire Protestant cause. The scale of the problem became apparent during the War of the Spanish Succession (1701-14), when French troops were committed on four separate fronts — in Germany, the Netherlands, Italy, and Spain. Resounding defeats at Blenheim in 1704 and Malplaquet in 1709 threatened to undo all Louis's achievements, although the unexpected victory at Denain in 1712 partially retrieved the situation. The Treaty of Utrecht in 1713 left France territorially intact, but brought great benefits to the growing British Empire, including the acquisition of Gibraltar, Minorca, and Nova Scotia. The death of Louis XIV in 1715 after a 72-year reign marked the passing of an era. Jeers and catcalls could be heard at his funeral procession, signifying the death-knell of absolutism. In France, the theologian and writer Francois Fenelon argued that the divine right claimed by the Monarchy contravened Christian teachings; in England, philosopher John Locke asserted that it was incompatible with the inalienable rights of the individual. People were beginning to challenge the notion that the authority of a pope or a king should be accepted without demur. The Baroque, with all its emphasis on grandeur and obedience, was giving way to the rational values of the Enlightenment. 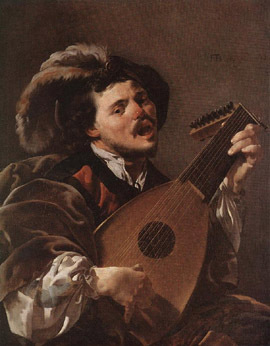 One of the most notable features of the Baroque era was the development of opera. The Roman composer Emilio dc' Cavalieri (1550—1602) is credited with the composition of the first play set completely to music, the Rappresentaziote de anima e di corpo (1600). Even during Cavalien's lifetime there was dispute between him and the Florentine opera composers Giulio Caccini (c. 1545-1618) and Jacopo Peri (1561-1633) as to which of them had invented the new recitative-like style of natural declamation of the text. 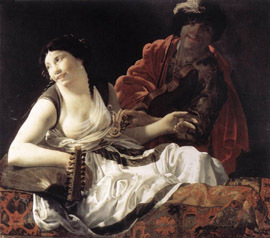 Caccini and Peri both wrote settings of Euridice in 1600. The most important opera composer in the period following Monteverdi was the Venetian Francesco Cavalli (1602-1676). The revival of Onnindo, Calisto, and Egisto by the British musicologist and conductor Raymond Leppard, m the 1960s and 1970s, revealed in these works a sense of theatre that has survived the 300 years since their composition. Alessandro Scarlatti (1660 — 1725), the father of Doincnico, was known as the founder of the Neapolitan school of eighteenth-century opera. The variety and sensitivity of characterization in such operas as Il Mitridate Eupatore, Telemaco and Griselda make him a worthy predecessor of Mozart himself. In instrumental genres, the organ music of the Danish Dietrich Buxtehude (c. 1637-1707) had such a reputation that J.S. Bach travelled to Liibeck to hear the venerable organist play. 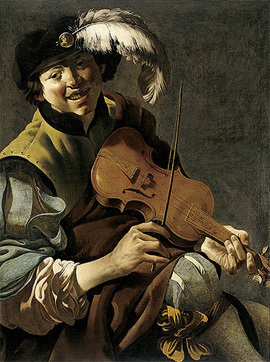 Two violin virtuosos who composed notable works were the Bohemian Heinrich Biber (1644-1704) and the Italian Francesco Geminiani (1687—1762). Biber wrote operas, choral works, and chamber music, but his fame rests mainly on such spectacular violin works as the Mystery or Rosary sonatas, which employ all sorts of special tunings to achieve unique effects. Geminiani settled ш London eventually, composing tine, sonorous violin sonatas and concern grossi that draw from the example of Corelli. Alongside Purcell in England, the music of John Blow (1649-1708) had a deservedly high reputation. Anthems such as "I beheld, and lo!..." and works such as the Ode on the death of Mr Нету Purcell have considerable interest and distinction, though they lack the blazing genius of his younger contemporary. In France, Michel-Richard de Lalande (1657—1726) composed Grands motets and instrumental works such as the Siufonies pour les soupcrs du rot for the royal court at Versailles, while Marin Marais (1656—1728) wrote sets of pieces for the bass viol.